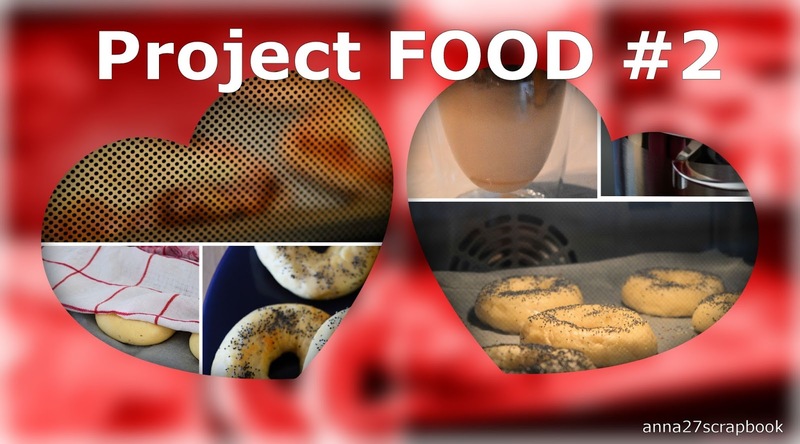 Project FOOD #2 Bagels and more! Yeay! 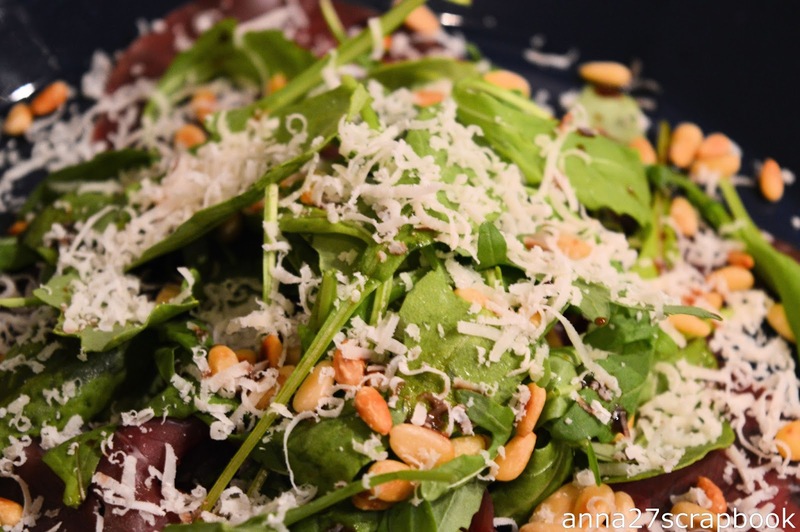 Another Project FOOD post! 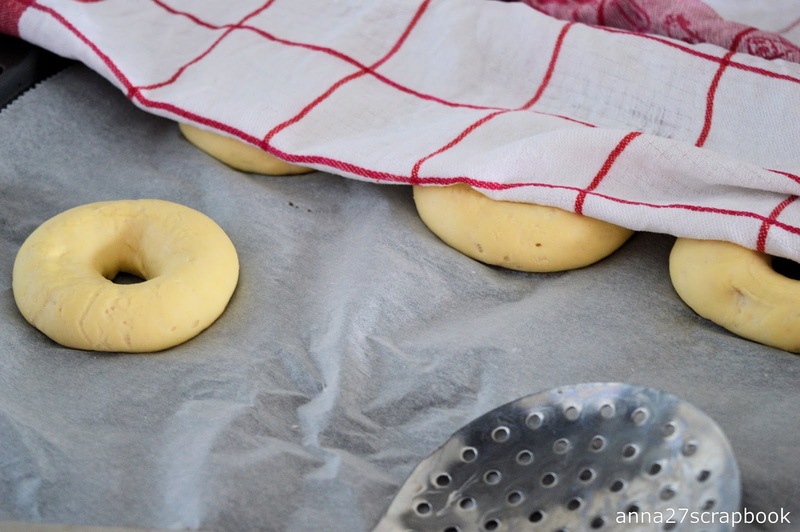 Today it is about Bagels and more! Do you like Project FOOD? Let me know in the comments! 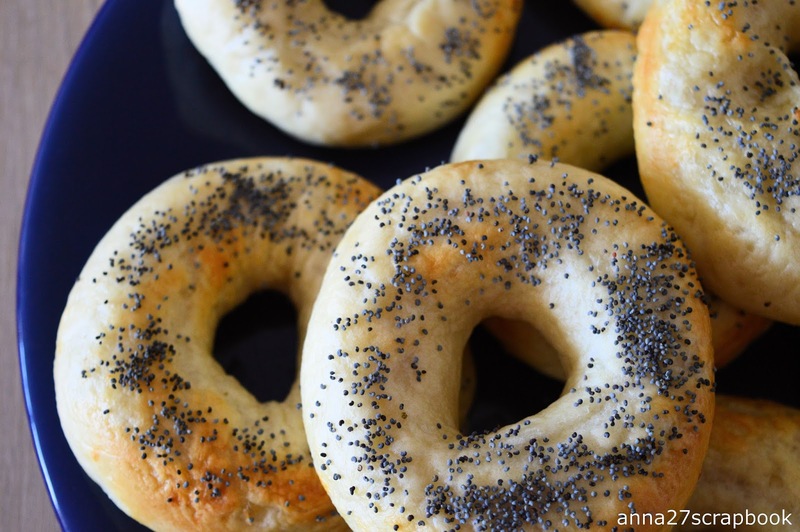 So yes, Bagels. I never ate them before. It was such a fun project. 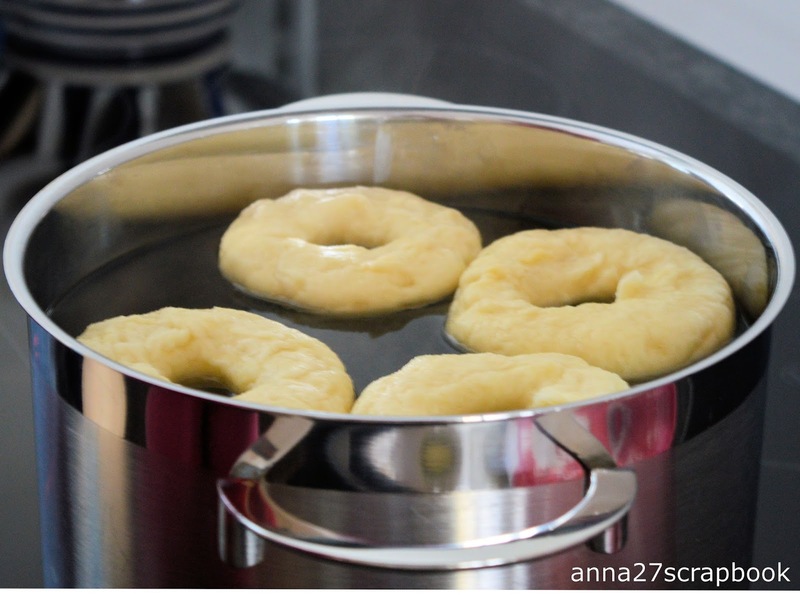 You have to put the bagels in a pan of water and let them in there for something like 8 minutes. 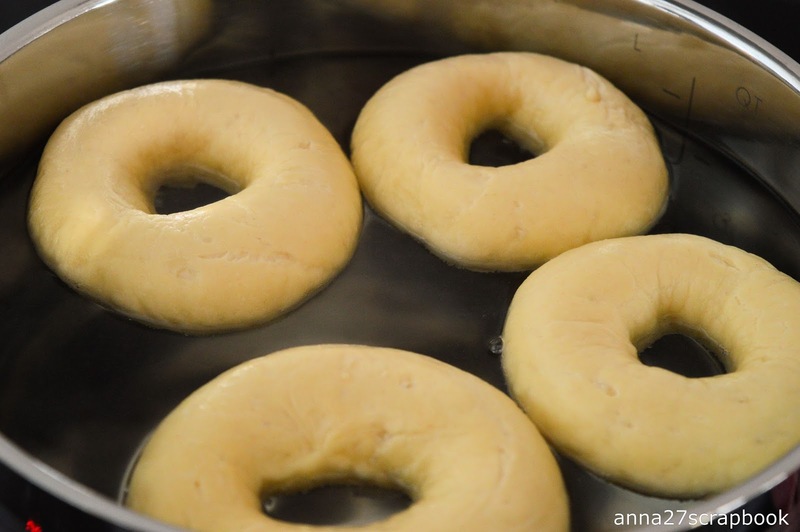 After that you put them in the oven and you'll have that hard from the outside soft from the inside effect! NOM. I really liked it! In the pan! They get all chewy! Hmmm, so good. Dry before putting them in the oven. 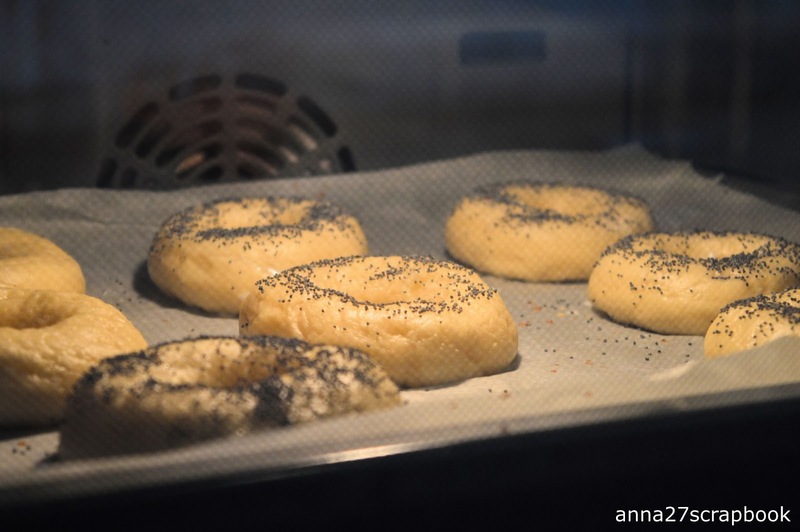 In the oven! I put some seeds on them for that extra flavour. They are ready when they are brown. A little more brown than we made would be perfect! On to the next subject! This weather! Do you like it? I do when I'm inside. 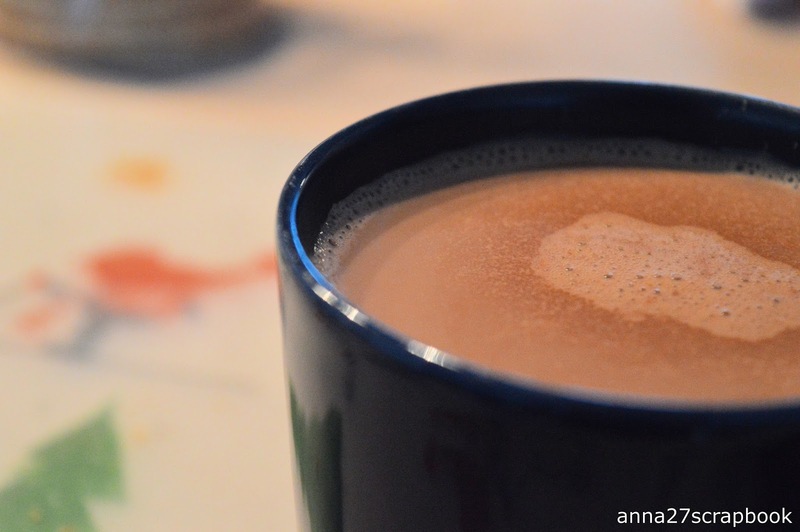 Chilly music, blanket, tea or hot chocolate! Actually I don't really know if I like hot chocolate that much. Sometimes it is just too sweet. I like salty things way more.... Even tough I like to bake sweet things. Hmm, difficult question actually! What do you think? A life without salt or a life without sweet?